There are a number of factors which can affect the speed of your broadband connection. The distance your home is from the telephone exchange, the time of day you go online and the number of people in your home using the internet at the same time, can all play a part in slowing down your connection. Your device may also not be set-up correctly or the line that provides the internet connection to your home may be damaged, while your internet provider's traffic management policies could also be a factor. The following tips could help bring your connection back up to speed - the last three tips (8-10) apply specifically if you receive your broadband through your telephone line rather than via cable. This will show you what speed you're actually getting. Carry out a few tests over several days and vary the times you carry out the test. 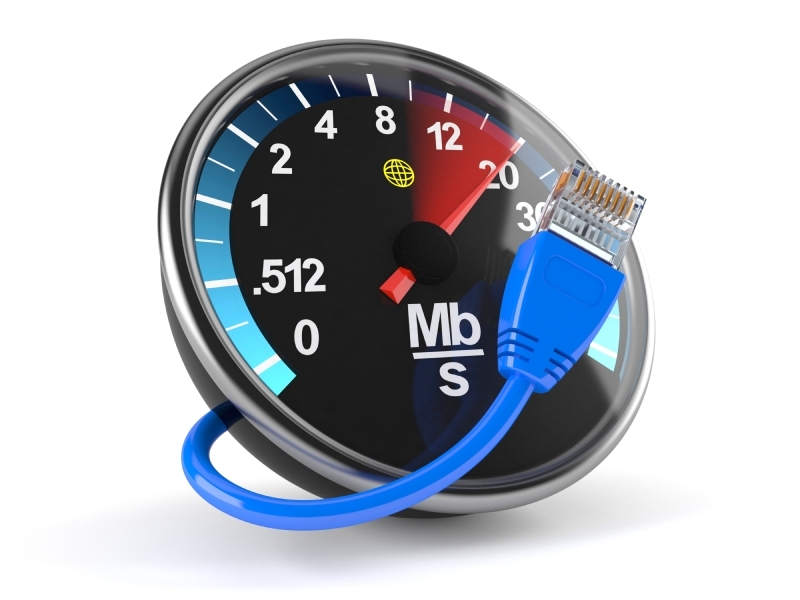 Ofcom accredited price comparison sites Broadband.co.uk, broadbandchoices.co.uk and Simplifydigital all have speed checkers. If you have a problem with your connection, we suggest contacting your provider in the first instance. They should be able to help you work out what the cause is and how you might be able to fix it. Check whether you're using the latest version of your web browser - newer versions not only provide better security but should also work faster. You can check your browser on the Get Safe Online website. Halogen lamps, electrical dimmer switches, stereo or computer speakers, fairy lights, TVs and monitors and AC power cords have all been known to affect routers. Keep your router as far away as possible from other electrical devices as well as those which emit wireless signals such as cordless phones, baby monitors etc. Try to place your router on a table or shelf rather than on the floor and keep it switched on. If you have an older router, or you have regular disconnections on your line, you may benefit from upgrading. Speak to your provider. If you don't keep your wireless router secure, anyone nearby could log on to your broadband. Not only could this slow down your internet speeds but your online security could also be at risk. To find out whether you are secure, search for available wireless networks. If your network is secure there should be a picture of a padlock next to it. If there isn't then you'll need to password-protect your router. Use a password that contains a mixture of numbers and upper and lower case letters. If you're not sure how to set or change a password, speak to your provider. Use an Ethernet cable to connect your computer directly to your router rather than using WiFi. An Ethernet cable is a computer networking cable which should give you a faster, more reliable connection. Any interference on your phone line could slow your broadband down. Make sure your home has the most up-to-date main phone socket and plug microfilters into every phone socket in your home. They look like little white boxes and split the phone and broadband signals so that they don't affect each other. Try not to use a telephone extension lead - leads can cause interference which could lower your speed. If you have to use an extension lead, use a new, high quality cable with the shortest possible length. Tangled and coiled cables can also affect speeds. There are a number of devices available that are designed to filter out interference from your home phone wiring. These may improve speed and, even if they don't, can help stabilise your broadband line and make it more reliable. Try searching online for devices that may suit your needs. Most ISPs have signed up to the Broadband Speeds Code of Practice, which ensure that your provider gives you information about the speed you can expect to get. Read a customer guide to the code. have robust processes in place to ensure that customers' speed-related problems are dealt with swiftly and effectively. When purchasing a broadband service, check whether your ISP has signed up to the code and make sure you get an estimate of the speed you can expect to receive. We recently reviewed the codes to make some improvements. The new codes will apply to contracts purchased from 1 March 2019. Read more about the changes.